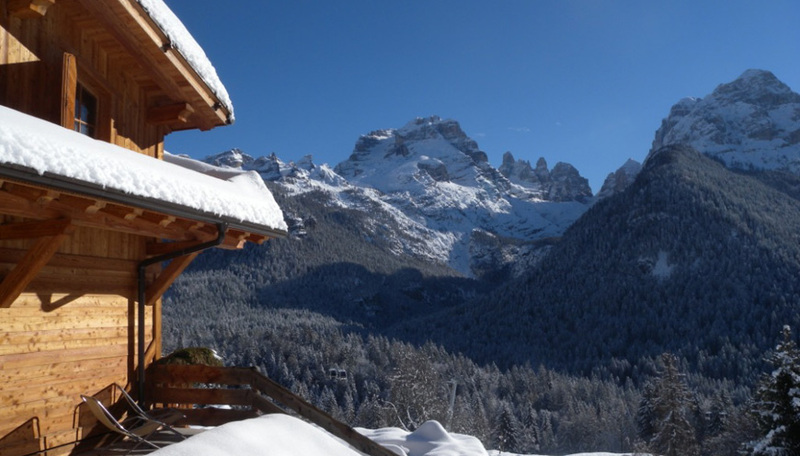 Chalet Brenta is an oasis of peace very close to the crowdy and fashion city center of Madonna di Campiglio. Plus: The wonderful chalet Brenta offers a half board service perfect for those that love coming back from slopes and have a nice dinner prepared by a chef. The owners live in the chalet and are available to assist the gusts all the time. The owner is also a ski teacher and can give lessons to the guests. Pleas Note: The road to join the chalet is quite difficult and especially during winter there is the need of a car that can easly drive in small mountains roads. 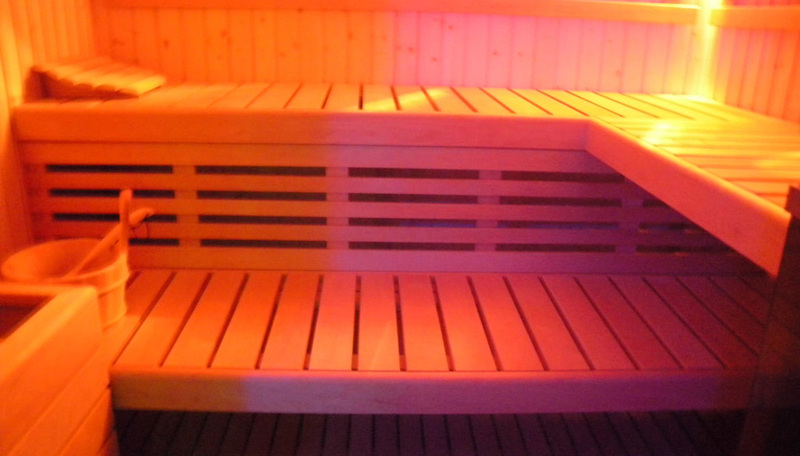 Wellness area, with sauna, steam room, emotional shower. 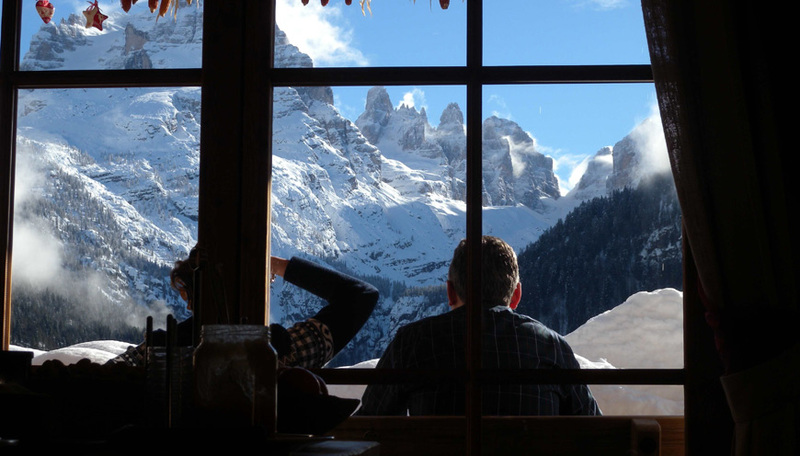 Fire place, antic wooden floor and bar, as well as a direct view to the Dolomites. Private garden of 1 500 sqm, with 8 car park. 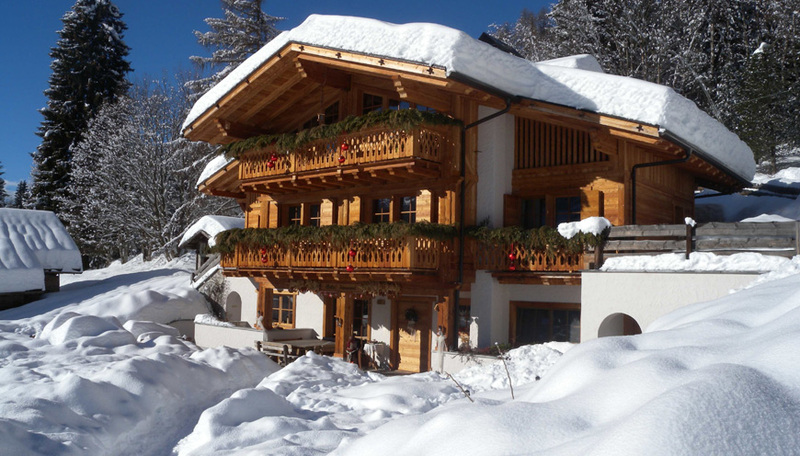 For exclusive use of the chalet, the restaurant is closed to external guests for dinner ONLY. 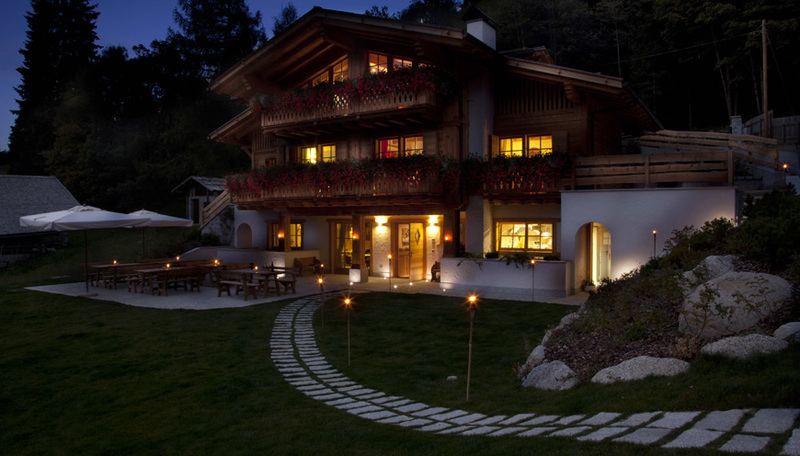 Chalet Brenta is an oasis of peace very close to the crowdy and fashion city center of Madonna di Campiglio. The unsurfaced road that reaches the chalet is an access to a private special place in the woods. 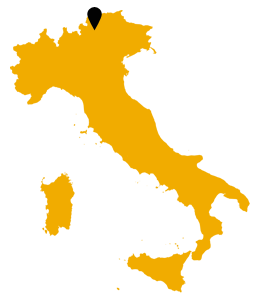 The owner family that leave at the second floor of the chalet will be more than happy to transfer you with a shuttle and take you safely to their beautiful property. The amazing view of the Brenta Dolomites, the western side of the Dolomites, will be the first sight in the morning from the beautiful balconies of 4 of the 6 bedrooms. 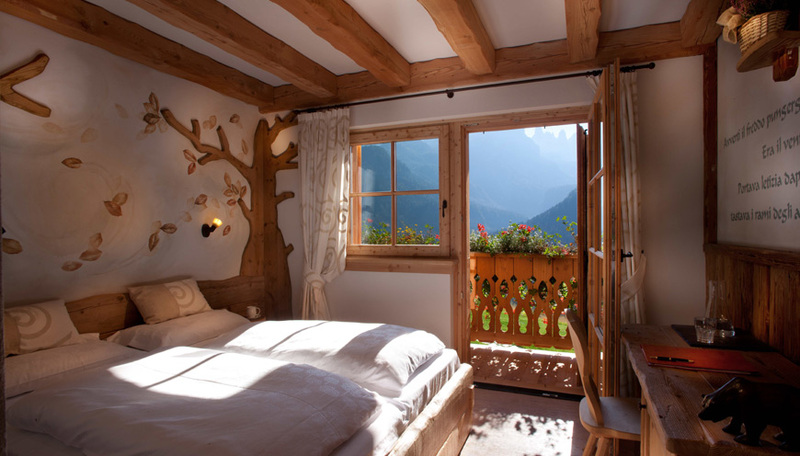 All the choices made by the owner in designing the chalet, are projected to ensure a restful holiday. 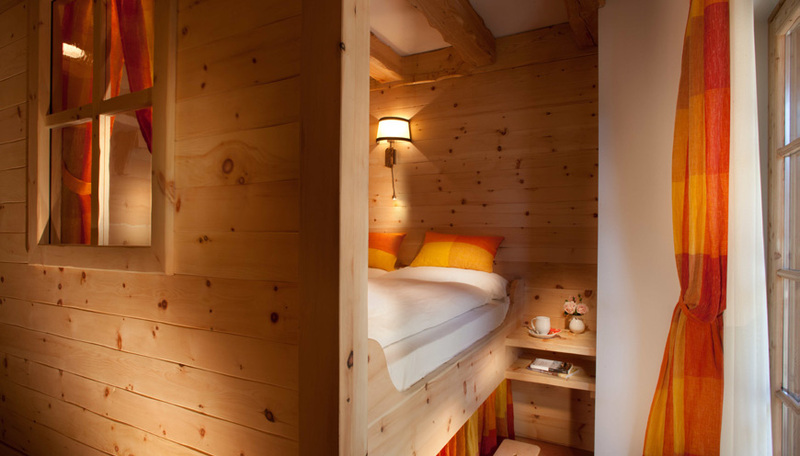 Wood is the main theme of the structure and the 2 double bedrooms without balcony are made of a special kind of pine wood that contribute to relaxation together with the absence of TV and WiFi (replaced by cabled internet) that characterize the whole chalet. The good start in the morning is to rely on the experience of the owner's husband, expert skier and ski instructor who will guide you to the best slopes of the area, to be reached with the shuttle, for a day of endless skiing. 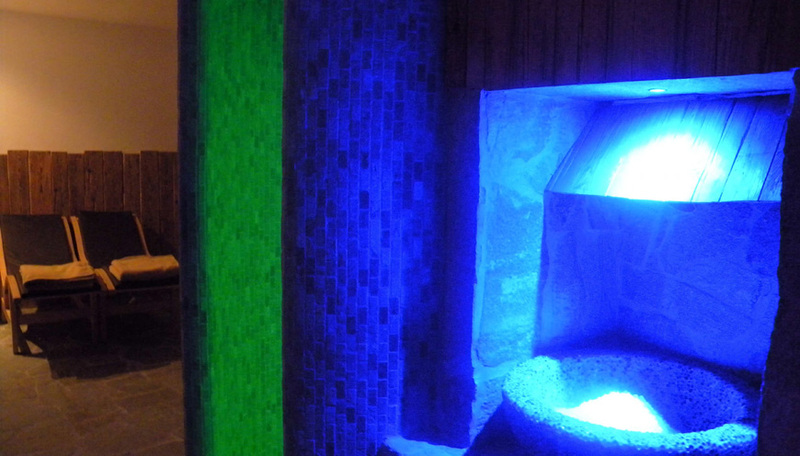 The return to the chalet will be a joy, the warm atmosphere of the lights, followed by the wellness center with its Finnish sauna, Turkish bath and emotional shower. After regenerating your body, the delicious dishes prepared by the chef, strictly organic and local, as well as excellent wines of the area will be the fulfillment of a perfect day. Every day you can visit a different resort of the Brenta Dolomites, or take advantage of the chalet location and opt for a breathtaking trekking in the Adamello Nature Park with the expert advice of an Alpine guide. The wellness of body and mind are a priority!